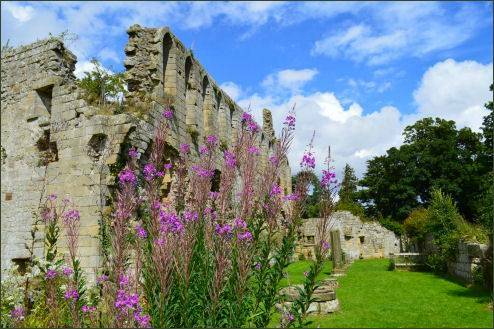 The atmospheric ruins of Jervaulx Abbey, one of the great Cistercian abbeys of Yorkshire, stand at East Witton near Ripon. It is reputedly the second largest privately owned Abbey in Britain. 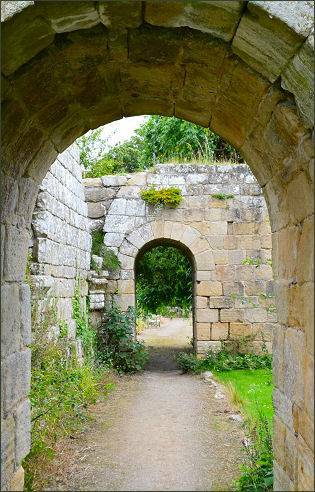 The name Jervaulx is first recorded in 1145, where it appears as Jorvalle. It means means 'Ure valley' in French, and may be a translation of the English Uredale. The abbey originated as a Savigniac foundation and was later taken over by the Cistercian order from Burgundy. 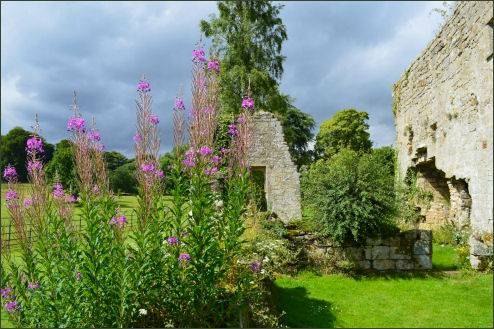 It was founded in 1146 by Peter Quintain a Cistercian monk from land granted to him by the Alan, Earl of Richmond in 1145 at Fors near Aysgarth, then moved a decade later to a site by the River Ure. 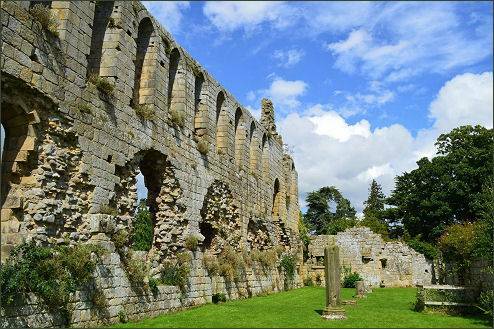 During the reign of King Stephen, in 1145, Akarius Fitz Bardolph, Lord of Ravensworth, gave Peter de Quinciano, a monk from Savigny, land at Fors and Worton, in Wensleydale to build a monastery. Conan, the son of Alan, 1st Earl of Richmond, increased the foundations revenues and, in 1156, removed their monastery to the present site in East Witton. 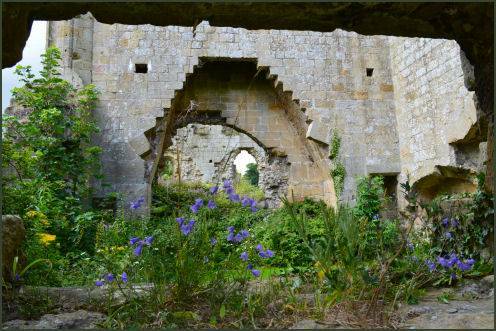 Jervaulx Abbey prospered and came to own half of the valley. It was famous for breeding horses, it also bears the distinction of being the original home of Wensleydale cheese. 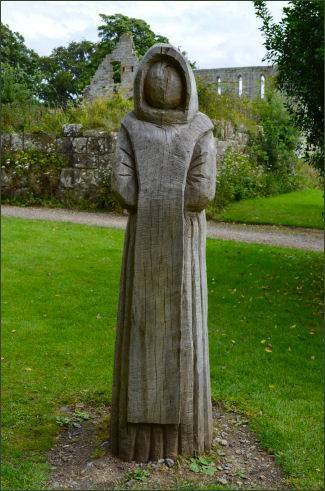 Scandal struck in 1279 when Abbot Philip of Jervaulx was murdered by one of his monks. Although his successor, Abbot Thomas, was initially accused of the crime, it was later decided by a jury that he was not guilty. The jury found that the crime had been committed by William de Modither, one of the monks, who had fled and was outlawed. The abbey was disolved under Henry VIII in 1537. The last abbot, Adam Sedbergh (circa 1502-1537), somewhat reluctantly joined the ill starred Pilgrimage of Grace, along with other local abbots from Fountains Abbey and Bridlington and Gisborough Priories, in order to protest about the king's religious policies and the suppression of the Monasteries..
Henry VIII attempted to round up the ringleaders of the rebellion and charge them with treason. Sedbergh sought refuge with John Scrope, 8th Baron Scrope at Bolton Castle. When the King's Commissioners pursued him there, Lord Scrope fled and Adam Sedbergh was forced hide for several days on Witton Fell. He was captured on 12 May 1537 and imprisoned in the Beauchamp tower in the Tower of London where the inscription he made on the walls '"Adam Sedbar. Abbas Jorevall 1537' can still be seen. 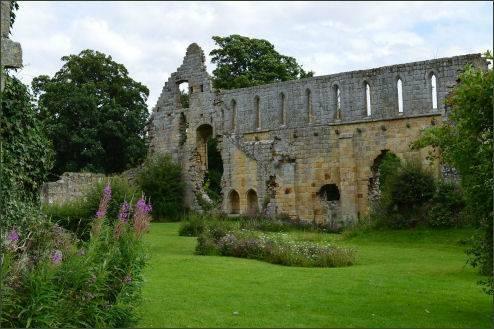 The main evidence against him was a compromising letter he had sent to William Thirsk, the abbot of Fountains Abbey. Sedbergh suffered death by hanging at Tyburn in June 1537. 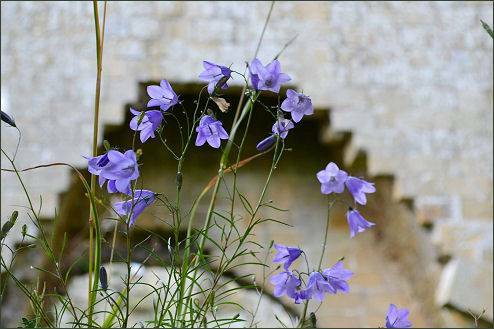 The surviving remains include part of the church and claustral buildings, as well as a watermill. 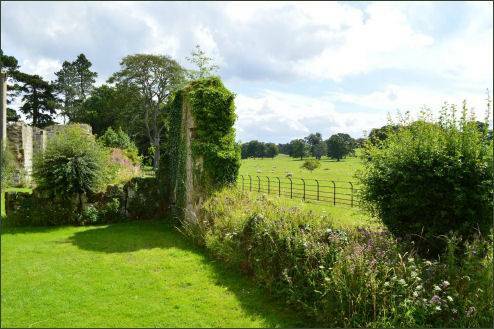 The site of the abbey, was granted by King Henry VIII to Matthew Stuart, 4th Earl of Lennox, who was married to the king's neice Lady Margaret Douglas. It eventually came into the possession of the Bruce family. Thomas Brudenell Bruce, Earl of Ailesbury had the whole of the ruin cleared in 1806 and 1807. The abbey was purchased in 1887, by S. Cunliffe Lister of Swinton Park. It was later sold again to Major and Mrs W V Burdon in 1971. 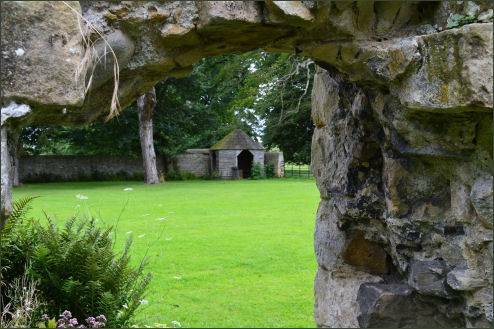 Their youngest son, Ian, now runs the abbey, the ruins are open to the public.